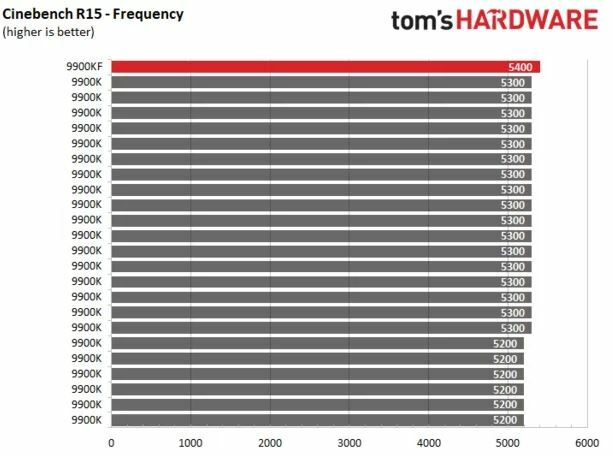 Thanks to the tests performed by Tom’s Hardware, we already have access to the first benchmarks of Intel Core i9-9900KF, which is a variant of the Intel Core i9-9900K without integrated graphics. Actually, these graphics are integrated at the hardware level but disabled by BIOS, and as expected, brings improvements, such as reducing power consumption, improve temperatures, increase frequencies and prevents the much feared throttling, something common in this CPU with cooling systems that are not top of the range. Speaking of temperatures, one advantage of keeping the iGPU inside is that it becomes a dark silicon that absorbs part of the heat, and the difference with its older brother is quite remarkable in this regard. Unfortunately, the graph only shows the temperature, but not the voltage as in the table they provide on the web. The Core i9-9900KF operating at the same voltage as the Core i9-9900K, and at least 10ºC cooler. 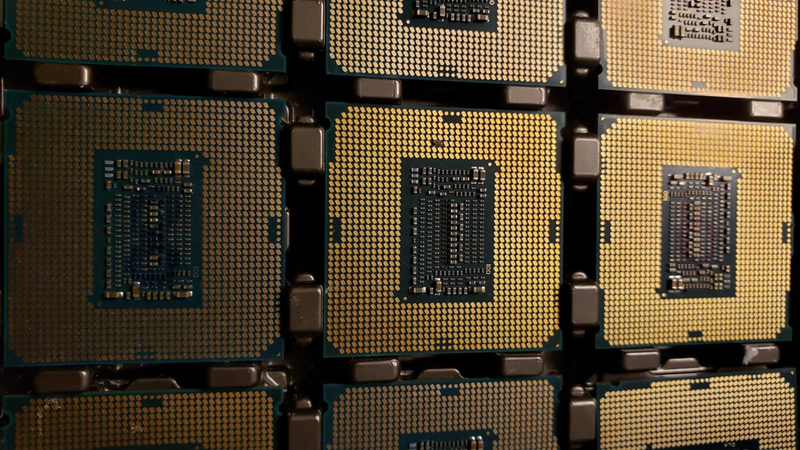 For the test, we are told that they have tested no less than 200 Intel Core i9-9900K and at least five samples of the Intel Core i9-9900KF, and according to the first benchmarks made, it is even suspected that these Core i9-9900KF have been refined regarding the original model, so we are facing a higher quality silicon. 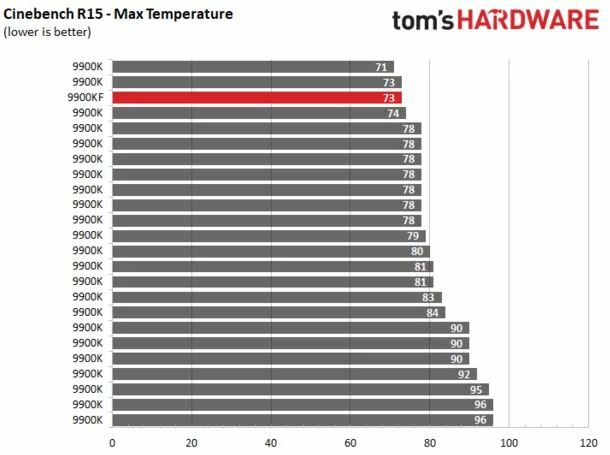 The chart above has the Top 25 comparing the 200 Intel Core i9-9900K tested against the Core i9-9900KF. At the frequency level, this CPU also leads the table, being the only one that was able to reach 5.40 GHz with an AIO water cooling system. 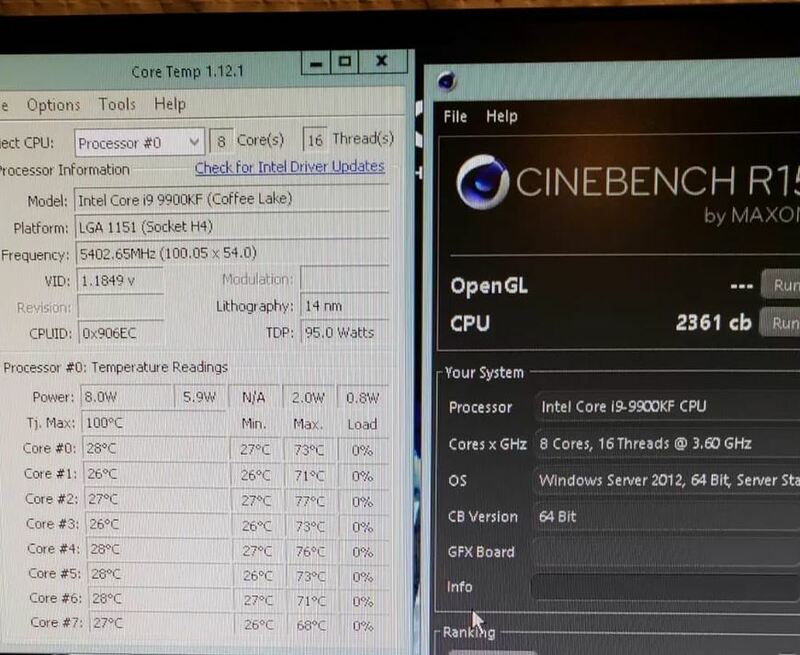 On the other hand, they indicate that of the 200 CPUs tested, only 17 of them managed to reach 5.30 GHz during the benchmarking test of Cinebench R15 with the same cooling system, which shows that Intel Core i9-9900KF makes more sense than the original model.